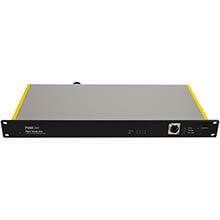 FieldCast Fiber Node One is a four channel fiber optic converter designed as a local unit for FieldCast Fiber Base One. Fiber Node One has exactly the same functionality as FieldCast Fiber Dock One, and it has all the inputs and outputs. So what's the difference? Fiber Node One comes with a SMPTE connector for standard SMPTE 311M/304 fiber optic cable, and this extra connector adds a lot of functionality to the converter. SMPTE cable is a hybrid cable similar to FieldCast hybrid cable. It also has two strands of fiber and two copper conductors for power transmission, but it uses way larger connectors allowing for AC power to be transmitted over it. Fiber Node One uses this feature to the max. If at the other end of the cable you connect a 100-240VAC power source, Fiber Node One will draw power from the cable and still can do everything a Fiber Dock One does, but without the need for local power. This means that you can place the unit at any strategic position in the field, and the SMPTE cable simply acts as a long extension cord. But Fiber Node one also uses the two fibers of the SMPTE cable! 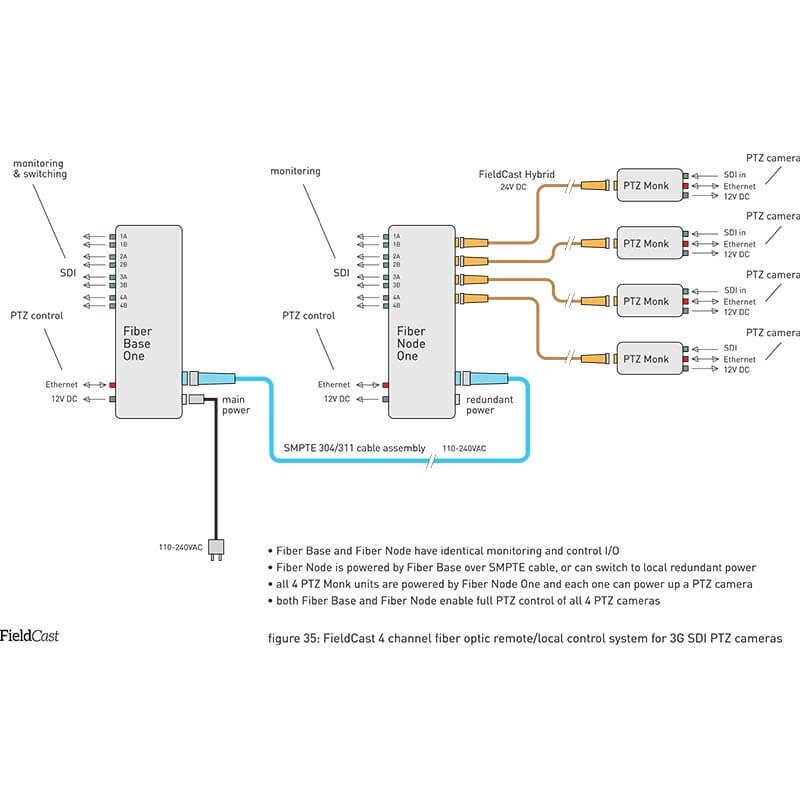 One fiber is used for extending the fiber optic ethernet network, and the other fiber carries all four video signals coming from the FieldCast PTZ Monk units. Here is where Fiber Base One comes in. 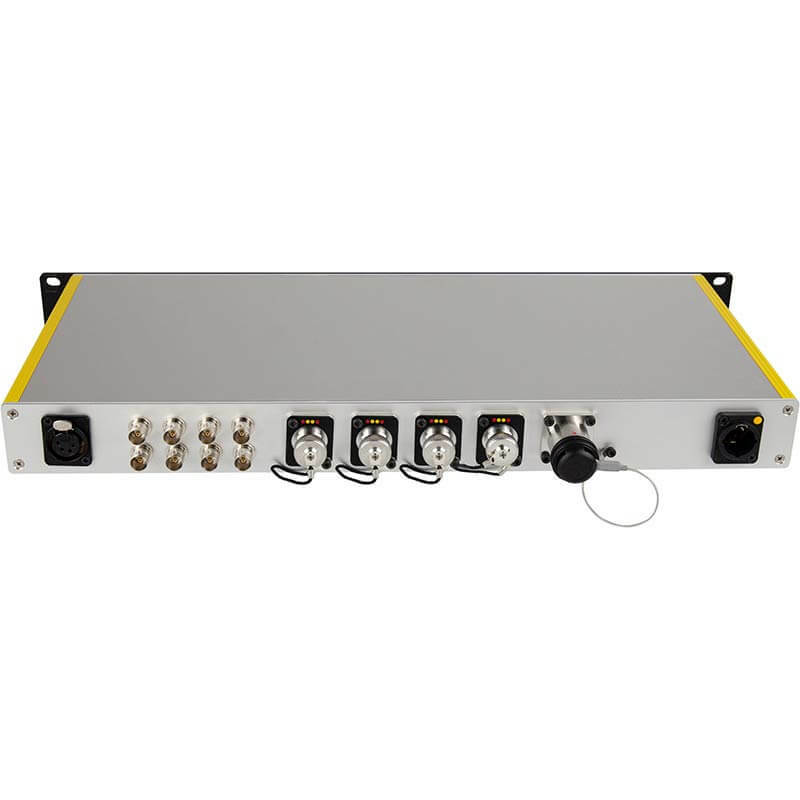 It connects to the remote end of the SMPTE cable, powers it, taps into the fiber optic ethernet network, and receives the four video signals. 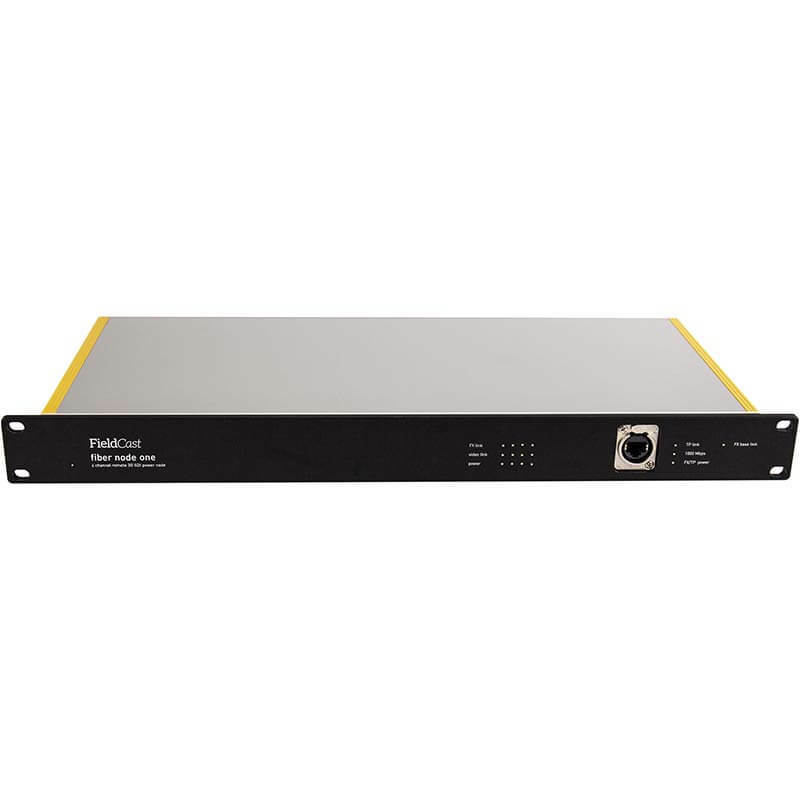 It has ethernet i/O and four 3G SDI output channels, just like Fiber Dock and Fiber Node, but it only has the SMPTE connector for fiber and power. Bottom line, Fiber Base One is designed to act as a remote unit for Fiber Node One and Fiber Node One acts as a local unit for Fiber Base One.